In The Art of Naming (The MIT Press), Michael Ohl, a biologist at the Natural History Museum of Berlin, delves into the art, science, language, and history of taxonomy. There are some 1.8 million known species—and scientists estimate that 100 million more await discovery. Every one will need a name. How does the process work? Ohl takes us into the field with the explorers and scientists at the forefront of naming the natural world, including Father Armand David, a French priest who was the first to describe the panda to the Western world; American paleontologists Edward Dinker Cope and Othniel Charles Marsh, who bitterly battled in the Bone Wars; and Polish biologist Benedykt Dybowski, whose unique naming system for crustaceans called gammarids (a.k.a. "scuds") resulted in tongue-twisters such as Cancelloidokytodermogammarus (Loveninsuskytodermogammarus) loveni. In the excerpt below, Ohl tells the story of one of the little-known footnotes to World War II: When Adolf Hitler threatened the German biologists who wanted to rename bats and shrews. And, read on for the best bat nickname of all time: "bacon mouse." "At its 15th General Assembly, the German Society for Mammalogy passed a resolution to change the zoologically misleading names 'Spitzmaus' [shrew] and 'Fledermaus' [bat] to 'Spitzer' and 'Fleder.' Fleder is an old form for Flatterer [one that flutters]. The Spitzmaus, as it happens, has borne a variety of names: Spitzer [one that is pointed], Spitzlein, Spitzwicht, Spitzling. Over the course of the conference, several important lectures were held in the auditorium of the Zoologisches Museum […]." 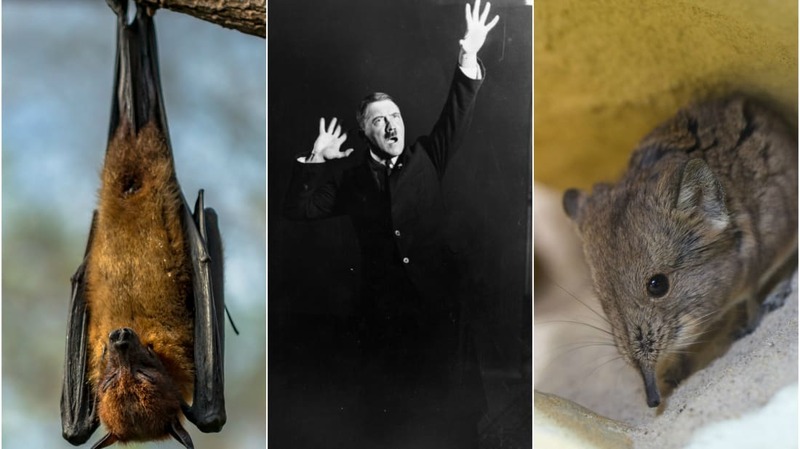 To this day, despite the problems announced by Germany's leading specialists on mammals on the pages of one of the capital's daily papers, fledermaus and spitzmaus remain the common German names for bats and shrews. Neither dictionaries nor specialized nature guides contain entries for fleder or spitzer (provided one disregards the primary definition of spitzer, which is a "small implement used for the sharpening of pencils"). "In yesterday's newspapers, the Führer read an item regarding the changes of name ratified by the German Society for Mammalogy on the occasion of its 15th General Assembly. The Führer subsequently instructed me to communicate to the responsible parties, in no uncertain terms, that these changes of name are to be reversed immediately. Should members of the Society for Mammalogy have nothing more essential to the war effort or smarter to do, perhaps an extended stint in the construction battalion on the Russian front could be arranged. Should such asinine renamings occur once more, the Führer will unquestionably take appropriate measures; under no circumstance should terms that have become established over the course of many years be altered in this fashion." "Regarding the discussion [in earlier issues of the Zoologischer Anzeiger] about potential changes to the names 'Fledermaus' and 'Spitzmaus,' the Editors wish to make public that terms that have become established over the course of many years are not to be altered, following an announcement by the Reich Minister of Science, Education, and National Culture, as per the Führer's directive." It's conceivable that Lammers forwarded Hitler's instructions (which had reached him by way of Bormann) to Bernhard Rust, the Reich Minister of Science, Education, and National Culture. Rust will then likely have ordered one of the "parties responsible" for the unpopular initiative to publish the retraction in the appropriate platform. The Zoologischer Anzeiger fit the bill, considering the fact that by 1941 it had already featured two articles debating whether the name spitzmaus should be changed. What is the problem, though, that veteran scientists have with spitzmaus and fledermaus, those innocuous terms for the shrew and the bat? And how could it come to pass that Adolf Hitler—preoccupied as he was in 1942— should personally join in the campaign for the correct classification of these small mammals? The common thread in these two unremarkable and familiar terms is of course the second word component, maus, or "mouse." Fledermaus and spitzmaus … are (linguistically) first and foremost mice. By referencing certain characteristics in these compound words (fleder comes from flattern, "to flap"; spitz, or "point," refers to the shrew's pointy nose or rather head shape), it becomes possible to provide a clear name—or almost clear, at least, because there are many bat and shrew species, but more on that later. Both names, of course, imply affiliation with mice, and that's the sticking point. In zoological terms, mice are a group of rodents known at the higher level of classification as Muroidea, "muroids" or the "mouse-like." The group includes quite the mix of animal groups, with occasionally curious names like zokor, blind mole-rat, spiny tree mouse, and Chinese pygmy dormouse, not to mention our pet hamsters and those domestic but unwelcome mice and rats. Common to all muroids are sundry and complex structural features in the skull, coupled of course with the oversized, continually growing incisors typical of rodents. Beyond that, although endless evolutionary gimmickry can revolve around this mouse theme (long or short legs, different fur colors and tail lengths, and much more), and even without biological expertise, most muroids tend to be identifiable as mice, if only vaguely. Zoologically speaking, a mere mouse-like appearance is insufficient to denote a muroid. Instead, the specific anatomical features of the skull must be in evidence. Field, house, and deer mice are familiar to many North Americans, although they typically live hidden away, and we don't often encounter them. These animals with the "mouse" base in their name are truly mice in the zoological sense. The same cannot exactly be said for the bat and shrew—the fledermaus and spitzmaus—despite their names. Neither of them is even a rodent or, consequently, a muroid. Then what are they? In the classification of mammals, a whole series of groupings is traditionally distinguished, usually assigned the rank of order within the class of mammals. Depending on scientific opinion, there are 25 to 30 of these orders of mammals. Rodents comprise one of these orders, to which muroids and several other groups of mammals belong. Bats, meanwhile, are typical representatives of the order of flying mammals. Their scientific name is Chiroptera, from the Greek words chiros (hand) and pteros (wings). Chiroptera, then, means "hand-flier," which is a fitting name for bats and their closest relatives, flying foxes. The systematic placement of the shrew, or spitzmaus, is determined in much the same way. They, too, fail to possess the mouse characteristics in question, although they do share traits with moles and hedgehogs, as well as with the solenodon (meaning "slotted tooth"), which is a venomous critter native exclusively to the Caribbean islands. They are now situated under the wondrous designation Eulipotyphla, but only since 1999. How they are related—along with ties to an array of other mammal families, such as tenrecs, desmans, and golden moles—has not been conclusively explained. Experts have known for a long time—since Linnaeus's Systema Naturae at the latest—that neither bats nor shrews are related to mice, to which common parlance pays no heed. The fledermaus and spitzmaus comfortably maintain their spots in the lexicon. One of the first mammal biologists to campaign for the standardization of German mammal names was Hermann Pohle. Born in Berlin in 1892, Pohle remained faithful to the city until his death and spent a large part of his life working at the natural history museum there. His career as a mammal biologist started early, when as a university student he worked as an unpaid hireling in the museum's famed mammal collection. Through diligence, endurance, and scientific acumen, he worked his way up to head curator of mammals. He thus held one of the most influential positions, of both national and international significance, in the field of systematic mammal research. In 1926, Pohle—along with Ludwig Heck, the former director of the Berlin Zoo, and a number of other colleagues—founded the German Society for Mammalogy, of which he was the first head. Pohle thus had his finger on the pulse of mammal research, as it were, and he followed the history of the society over the next five decades "with keen interest," as one biographer noted. In addition to his work as a researcher and curator of the mammal collection at Berlin's Museum für Naturkunde (Museum of Natural History), Pohle's interests also lay with German mammal names. Not only did he push for standardization of names, Pohle also campaigned to have existing names assessed for scientific plausibility and changed, should they not pass (his) zoological muster. In 1942, Pohle published a summary article addressing the question, "How many species of mammals live in Germany?" He appended a comprehensive list of all German mammals, each with its correct "technical name," as Pohle called it, as well as its corresponding German name. When it came to the various species of spitzmaus (of which the Germans have eight, incidentally, despite the long-standing impression that there is "the" one and only shrew) and the 16 species of bats that have the base word "fledermaus" in their name, Pohle consistently uses alternative terms. The eight shrew species thus became waldspitzer, zwergspitzer, alpenspitzer, wasserspitzer, mittelspitzer, feldspitzer, gartenspitzer, and hausspitzer. For the bats, the base of their compound name was changed to fleder: teichfleder, langfußfleder, wasserfleder, and so on, all the way to a term of particular elegance, wimperfleder. Pohle's article, which predates the society's 15th General Assembly and Hitler's emotional veto by more than a year, is a particularly interesting source because he also shares his actual motivations for the suggested changes. His emphatic objective is to see "the term 'Maus' disappear, responsible as it is for laypersons' wont to lump the animals together with actual mice." In the estimation of these laypersons, mice are something "ugly and destructive that must be fought, or ideally exterminated." Shrews and bats, harmless as they are to humans, are thus subject to the same brutal fate. Pohle hopes for a "shift in perspective" to occur, once the endangered animals are no longer referred to as mice. What to do, then? Pohle would prefer the term spitz for spitzmaus, but it's already been assigned to a dog breed. Rüssler could also work, only it already applies to some other insectivore. That leaves spitzer, a name that emphasizes the pointy head as a distinguishing characteristic and is still available. Pohle wants a name for bats without "maus" but happily with a nod to the animals' flying ability. Most names of this kind are already employed for birds, and "flatterer" or "flutterer" could only logically be used for a certain population of bats, namely, those bad at flying. "Flieger" or "flyer," another hot candidate, is also in use by various other animal groups. But why, Pohle asks the reader, would one even need to say "fledermaus," when "fleder" actually makes perfect sense? Pohle mentions that the original meaning of "fleder" was different, but few people were aware of this fact anymore. On the off chance that he was correct in this assessment, let it be noted that fledermaus can be traced back to the 10th century, to the Old High German "vledern" or "flattern" (the infinitive form of "flatterer"). The image of the bat as a "fluttering mouse" has existed since this time in many languages, including "flittermouse" in English. A number of other German terms exist for bats. In some regions of Germany, such as Rhineland-Palatinate and Southern Hesse, the Old High German "fledarmus" is said to have been used to describe nocturnal creatures, such as moths. There, bats were apparently called "speckmaus," instead of fledermaus, because while hibernating, they could be seen hanging like pieces of bacon (speck) in the smoke. Pohle's dedication to promoting the protection of bats and shrews through a bold name change reached its temporary culmination a year later, when—at the 15th General Assembly of the German Society for Mammalogy in Berlin—a resolution was passed on a universal and binding adoption of the spitzer- and fleder-based names Pohle had suggested. The results are known: Hitler was not amused. We can only guess at what Hitler's actual motive was in issuing such drastic threats to prevent the name alterations proposed by the German Society for Mammalogy. It could have been his outrage that in 1942—hard times because of the war—leading German intellectuals were concerned with something so unimportant and banal as the appropriateness of animal names. Perhaps this anecdote is just a further example of Hitler's hostility toward intellectuals. It is ultimately unclear, even, to what extent Hitler was the driving force behind this directive or whether this is a case of subordinates "working towards the Führer," as historian Ian Kershaw describes it. Conceivably, after reading the Berliner Morgenpost, Hitler may have remarked negatively regarding the zoologists' plans. His circle—in this case, Bormann—may have immediately interpreted this as "the Führer's will" and sprung to action accordingly. As for Pohle and his colleagues, it can't have mattered much whether the "invitation" to the Eastern Front came directly from Hitler or was communicated in an act of premature obedience. Whatever the case may be, Pohle's suggested name changes did not fail because of Hitler's intervention, which presumably resonated as little with the German-speaking public as the original notice. Pohle failed because he wanted to take the basic idea of a standardized naming system out of the scientific context and transfer it into the realm of vernacular. Everyday German is not formally and officially regulated, and like every other vernacular, it follows different rules than scientific speech. It is shaped by a multitude of factors and influences that have their own unpredictable dynamic, which leads to some word usages changing while others stabilize. In kindergarten, we learn that small, furry four-legged animals with a tail are "mice." This act of naming fulfills the exact function expected of it. It "tags" specific linguistic content—a meaning—that is generally understood. The difference between muroids and insectivores, which is important to zoologists, has no application in everyday confrontations with "mouse-like" animals and makes no difference to most people. A mouse is a mouse, whether a striped field mouse or a shrew. In The Mystery of the Exploding Teeth: And Other Curiosities from the History of Medicine, medical historian Thomas Morris presents a collection of bizarre but fascinating stories culled from the pages of old medical journals and other accounts. 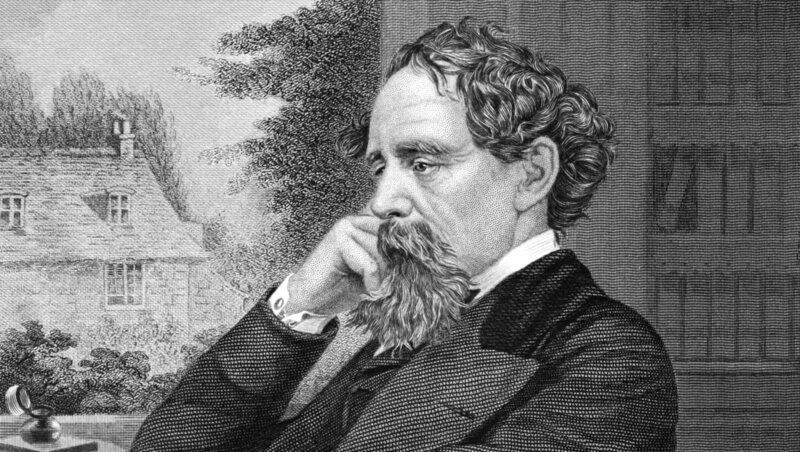 In this tale, he discusses the final moments of an aristocratic older women, Countess Cornelia di Bandi, whose demise would provide fodder for Charles Dickens over 100 years later. Do human beings ever burst into flames? Two hundred years ago, many people believed that they could, especially if the victim was female, elderly, and a heavy drinker. Spontaneous human combustion became a fashionable topic in the early 19th century, after a number of sensational presumed cases were reported in the popular press. At a period when candles were ubiquitous and clothes often highly flammable, most were probably simple domestic fires in which the unfortunate victim’s subcutaneous fat acted as supplementary fuel. Nevertheless, the circumstances in which some were discovered—with the body almost totally incinerated, but nearby objects left untouched—led some to believe that these conflagrations must have another, more mysterious, cause. Numerous theories were put forward to explain the phenomenon: some supernatural, others scientific. "The Countess Cornelia Bandi, in the 62nd year of her age, was all day as well as she used to be; but at night was observed, when at supper, dull and heavy. She retired, was put to bed, where she passed three hours and more in familiar discourses with her maid, and in some prayers; at last falling asleep, the door was shut." "Four feet distant from the bed there was a heap of ashes, two legs untouched from the foot to the knee with their stockings on; between them was the lady’s head; whose brains, half of the back part of the skull, and the whole chin, were burnt to ashes; amongst which were found three fingers blackened. All the rest was ashes, which had this particular quality, that they left in the hand, when taken up, a greasy and stinking moisture." Mysteriously, the furniture and linen were virtually untouched by the conflagration. "The bed received no damage; the blankets and sheets were only raised on one side, as when a person rises up from it, or goes in; the whole furniture, as well as the bed, was spread over with moist and ash-coloured soot, which had penetrated the chest of drawers, even to foul the linen." The soot had even coated the surfaces of a neighboring kitchen. A piece of bread covered in the foul substance was given to several dogs, all of which refused to eat it. Given that it probably consisted of the carbonized body fat of their owner, their reluctance to indulge is understandable. "In the room above it was, moreover, taken notice that from the lower part of the windows trickled down a greasy, loathsome, yellowish liquor; and thereabout they smelt a stink, without knowing of what; and saw the soot fly around." "Such an effect was not produced by the light of the oil lamp, or of any candles, because common fire, even in a pile, does not consume a body to such a degree; and would have besides spread it-self to the goods of the chamber, more combustible than a human body." "The fire was caused in the entrails of the body by inflamed effluvia of her blood, by juices and fermentations in the stomach, by the many combustible matters which are abundant in living bodies, for the uses of life; and finally by the fiery evaporations which exhale from the settlings of spirit of wine, brandies, and other hot liquors in the tunica villosa [inner lining] of the stomach, and other adipose or fat membranes." Bianchini claims that such “fiery evaporations” become more flammable at night, when the body is at rest and the breathing becomes more regular. He also points out that “sparkles” are sometimes visible when certain types of cloth are rubbed against the hair (an effect caused by discharges of static electricity) and suggests that something similar might have ignited the “combustible matters” inside her abdomen. "What wonder is there in the case of our old lady? Her dullness before going to bed was an effect of too much heat concentrated in her breast, which hindered the perspiration through the pores of her body; which is calculated to about 40 ounces per night. Her ashes, found at four feet distance from her bed, are a plain argument that she, by natural instinct, rose up to cool her heat, and perhaps was going to open a window." "The old lady was used, when she felt herself indisposed, to bathe all her body with camphorated spirit of wine; and she did it perhaps that very night." Camphorated spirits (a solution of camphor in alcohol) was often used to treat skin complaints, and as a tonic lotion. The fact that it is also highly flammable is, apparently, quite beside the point. "This is not a circumstance of any moment; for the best opinion is that of the internal heat and fire; which, by having been kindled in the entrails, naturally tended upwards; finding the way easier, and the matter more unctuous and combustible, left the legs untouched. The thighs were too near the origin of the fire, and therefore were also burnt by it; which was certainly increased by the urine and excrements, a very combustible matter, as one may see by its phosphorus." So it was the “internal heat and fire” that caused the countess’s demise. Only an incorrigible skeptic would point out that an old lady who was in the habit of bathing in inflammable liquids, before going to bed in a room lit by naked flames, was a walking fire hazard. Excerpted from The Mystery of the Exploding Teeth: And Other Curiosities from the History of Medicine by Thomas Morris. Copyright © 2018 by Thomas Morris. Published by arrangement with DUTTON, a division of Penguin Random House LLC. In The Royal Art of Poison: Filthy Palaces, Fatal Cosmetics, Deadly Medicine, and Murder Most Foul, author Eleanor Herman delves into the deadly—and often disgusting—world that lay beneath Western Europe's most glittering palaces. From the gut-roiling poisons used to dispatch enemies and inconvenient heirs to the methods the highest-born unknowingly used to poison themselves (think mercury enemas and lead cosmetics), it's a book that will make you think twice the next time you admire a royal portrait. Along the way, Herman analyzes the suspicious deaths of some of the most famous people in European history—deaths in which poison may have played a part. 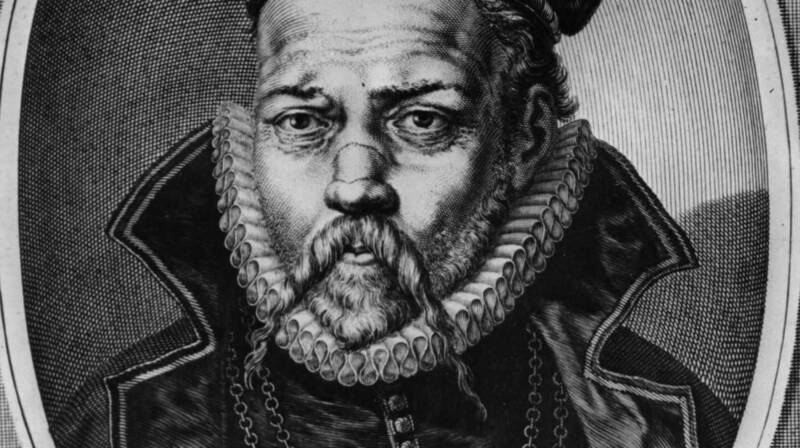 Read on for an excerpt about Tycho Brahe, possibly one of the most eccentric astronomers in history. Red-haired, blue-eyed, and sporting a trim pointed beard and handlebar mustache, the astronomer wore a metal nose reported to be either gold or silver, as he had lost the bridge of his nose at the age of twenty in a duel over a mathematical formula. When the glue holding his nose in place came loose, he would remove the prosthesis, take a bottle of glue out of his pocket, and glue it back on. Brahe’s eccentricities were widely known. He had a dwarf jester named Jepp with supposed psychic abilities, who sat under his dining room table during meals. For years, Brahe kept a beer-swigging pet elk in his castle. One night the elk drank too much beer, fell down a staircase and died. It is not known if Jepp predicted this. Noble banquets offered delicious food, fine wine, beautiful music, a glittering table, and fascinating conversation. But there was one down side. They went on for hours, during which time guests were expected to eat and drink until they nearly popped. It was bad etiquette to excuse yourself to use a chamber pot. As candlelight flickered on golden cups and silver plates, and laughter wafted around him, Brahe felt increasing abdominal discomfort. He must have thought he would be fine once he got home, which was just across the street. After all, the robust 54-year-old Dane had never known any serious illness in his life. By the time he arrived home, the need to relieve his bladder was agonizing. Grunting with relief, he dropped his britches and … nothing. Not a drop. And so began a 400-year-old mystery of jealousy, theft, and possible poison. Brahe’s fascination with the heavens began in 1560, when, at 14, he witnessed a solar eclipse. He began staying up all night to record astronomical observations. In 1563, he observed a conjunction of Jupiter and Saturn and realized that the revered astronomical tables used to predict the event were incorrect. By the time he was in his twenties, his observations had shattered two thousand years of astronomical theory. In 1599, Brahe became the Imperial Court Astronomer to Holy Roman Emperor Rudolf II. Soon after, he hired a new assistant, a 28-year-old German named Johannes Kepler. Though he was an excellent mathematician, Kepler suffered severe hypochondria and violent mood swings. He took the position with Brahe to obtain access to his employer’s 40 years of observations to prove his own astronomical theories—that the universe itself was an image of God, with the Sun corresponding to the Father, the stellar sphere to the Son, and the intervening space to the Holy Ghost. But Brahe, whose work had been plagiarized years earlier by a visitor to his home, refused to give Kepler more than a few observations at a time. Kepler began throwing temper tantrums so epic that Brahe described him as “a rabid dog.” But he didn’t fire him. Perhaps he needed his mathematical abilities. When Brahe came home from his last banquet, he was in agony, unable to urinate, his belly distended, and feverish. For the next 10 days, pain radiated throughout his body. At times, he was delirious. He died on October 24, 1601. The strange death of this renowned astronomer caused many to suspect poison. And if Brahe had been poisoned, it must have been the jealous, vicious Kepler, who had carted the 40 years of observations out of Brahe’s house while the grieving family was making funeral arrangements. Indeed, freed from Brahe’s shadow and armed with his records, Kepler finally achieved the fame he had always desired. He theorized that the planets’ orbits were elliptical, not circular, as had always been believed. He also developed the notion that the sun pulled the planets around by something like magnetic tendrils, a force growing stronger as the planets got closer and weaker as they moved away—breathtakingly close to the theory of gravitational attraction, which Isaac Newton would formulate in 1687 using Kepler’s work. Archeologists lift Tycho Brahe's tombstone in Prague in 2010. In 1901, researchers in Prague opened up Tycho’s tomb as part of their celebrations commemorating the 300th anniversary of his death. They found a 5-foot-6-inch skeleton in a fine silk shirt, wool stockings, silk shoes, and a hat, and a crescent-shaped injury on the bridge of the nose, the exact same place where Brahe had been maimed in his youthful duel. Researchers removed hairs from the mustache. In 1991, tests conducted on the hair by the University of Copenhagen’s Institute of Forensic Medicine indicated he had, indeed, been poisoned by mercury, which can shut down the kidneys. But even science is fallible. Given the sensational stories of Tycho Brahe’s poisoning, a team of Danish and Czech scientists exhumed him again in 2010 and took hair directly from his remains. In a stunning reversal of the 1990s findings, the new results showed that Tycho had not consumed excessive amounts of mercury. So what did kill him? Most likely benign prostatic hyperplasia, known as BPH, an enlarged prostate gland. This gland surrounds the urethra, the tube through which urine flows. As the prostate grows, it can squeeze the urethra, making it difficult and even impossible to urinate. Left untreated, it can prove fatal. Johannes Kepler is off the hook. He was a thief, to be sure, but no murderer. Though he had succeeded in attaining the fame he always wanted, happiness and health eluded him. At the age of 58, he developed a fever and, speechless in his final delirium, kept pointing from his forehead to the heavens. The night he died, meteors streaked across the sky. From The Royal Art of Poison by Eleanor Herman. Copyright © 2018 by the author and reprinted by permission of St. Martin’s Press.